Mumbai, Jan 26 (IANS) Mauritius Prime Minister P.K. Jugnauth on Friday sought trade and investments from India which offer immense potential in that country. Inviting Indian companies to set up a regional base in Mauritius, he said it would help them manage their African operations even as the island-nation provides a safe and trusted regulatory environment. Jugnauth also stressed that Mauritius can play a major role in furthering the Pravasi Bharatiya Divas-2019, since India and the Indian diaspora have been the main partners of that country in terms of trade and investment for many years. “See Mauritius not for what it is, but for what it can be. There are immense investment opportunities in Mauritius. 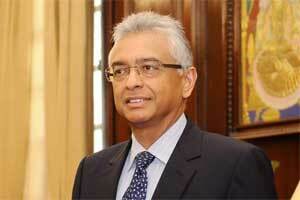 The Comprehensive Economic Partnership Agreement with India would be concluded soon,” Jugnauth said. Jugnauth was addressing a mega-business interaction organized by top Indian organisations such as the CII, FICCI, ASSOCHAM, EDB, SBM Holding Ltd. with prominent representatives addressing the meeting today. Stressing the need to deepen the economic ties between the two countries in tune with the changing global scenario, Prabhu said India looks forward to strengthening the relationship especially on the economic front, through means such as G2G agreements. “However, B2B relationships are also very important for business between the two countries, industry should explore opportunities for greater collaboration. The government headed by Prime Minister Narendra Modi is committed to facilitating the industry in tapping into the opportunities identified by it,” Prabhu said. On promoting economic prosperity and building bridges between the two nations, he said ‘Invest India’ will work with Mauritius Investment Promotion Board to boost investments while a high-level business delegation from here will visit that country soon to explore and firm up business opportunities.